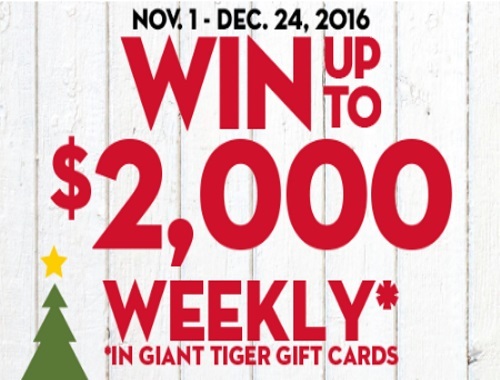 Giant Tiger is giving away Giant Tiger gift cards each week, now until Christmas! Each week there will be 3 prizes to be won: 1 weekly grand prize of $2000 Giant Tiger, and a secondary prize of $500 Giant Tiger gift card and weekly tertiary prize of $100 Giant Tiger gift card! Limit 1 entry per person. Contest closes December 24, 2016 at 2pm ET. That would be so great , some nmonies to help with winter boots , clothes, and coat.